What's your paborito crack/often forgot about couple? ang napili ng mga taga-hanga: Yep. Really. A very very old story I wrote several years ago. Only just now, have I finally gained the courage to post it here. My accuracy of how I portrayed a lot of what I wrote may or may not be that much but it was written with how I perceived things. I understand interpretations are not always correct but I really hope this was as close as possible to maybe being at least a little. Also the pamagat might not be too fitting.... Well despite that I hope you like it anyways. "This artikulo Contains Spoilers Took Place After bleach manga Left Off "
Bleach: Can’t Fear Your Own World will be released on the 4th of August 2017, on Jump j Books. This new novel follows on on Bleach manga, it’s created sa pamamagitan ng Durarara! !’s may-akda Ryohgo Narita, which will be serialised every other Friday on their Jump+ digital platform. 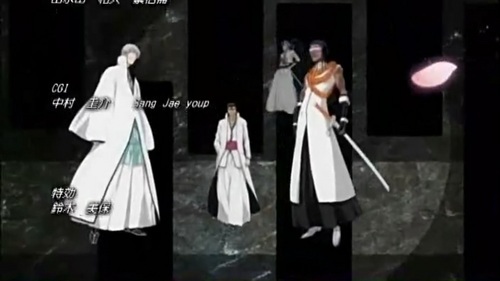 New visuals and the novels antagonists are also shown below! This is a tagahanga fiction I wrote for a local contest that it won. A friend of mine, wanted me to upload it to here so she might read it. I will be doing it in chapters so it's not to much to read all at once hope you enjoy. So without further ado let's explorer the origins to our paborito story.